Last week I checked yet another thing off my bucket list: being the captain of my own boat for a few days. And the best thing was, I drove it myself and I didn’t need a permit for it! 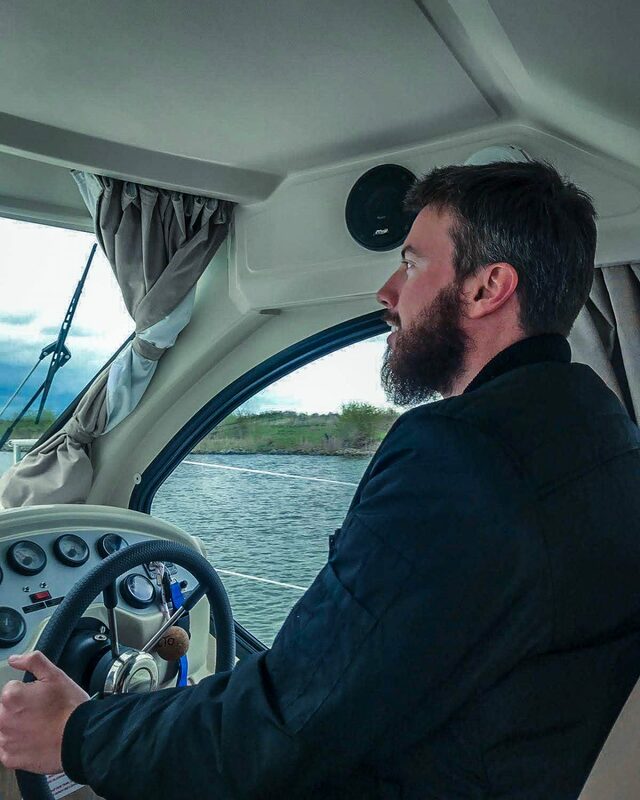 Me and a few others teamed up with Nicols, a company that is providing boating holidays for which you don’t need a license. 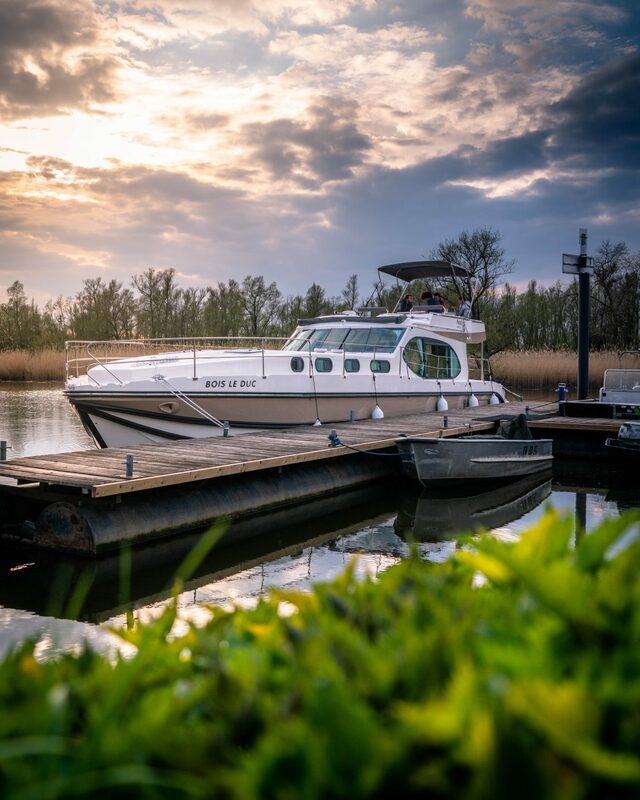 They’re quite active in France, Germany and Portugal, but since April 2019 you can now rent their boats in Kerkdriel, the Netherlands. And that’s exactly what a group of friends and I did. 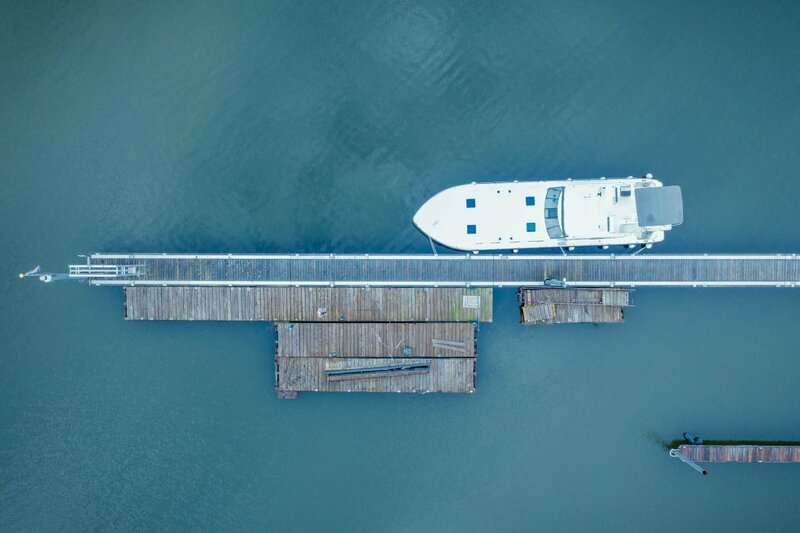 Read along to find out why renting a boat from Nicols in the Netherlands was one of the coolest experiences I’ve ever done! I might be biased because I’ve always had a thing for boats. Back in the day, I was on the verge of starting my Maritime Studies to become a sea captain, until I chickened out. Long story short, I was afraid I wouldn’t find anyone to start a family with if I was out on the sea most of the time. So I did other studies but since I’m a fulltime travel photographer right now, I can’t complain either. Each time I have the opportunity to go on a boat or ship, I’m on the first row! I did a couple of cruises but I always dreamt of having your own boat without all the other people. Nicols is perfect for that. So me and a few other bloggers drove straight to Kerkdriel, located in the south of the Netherlands. In this little harbour you have a few options to choose from. 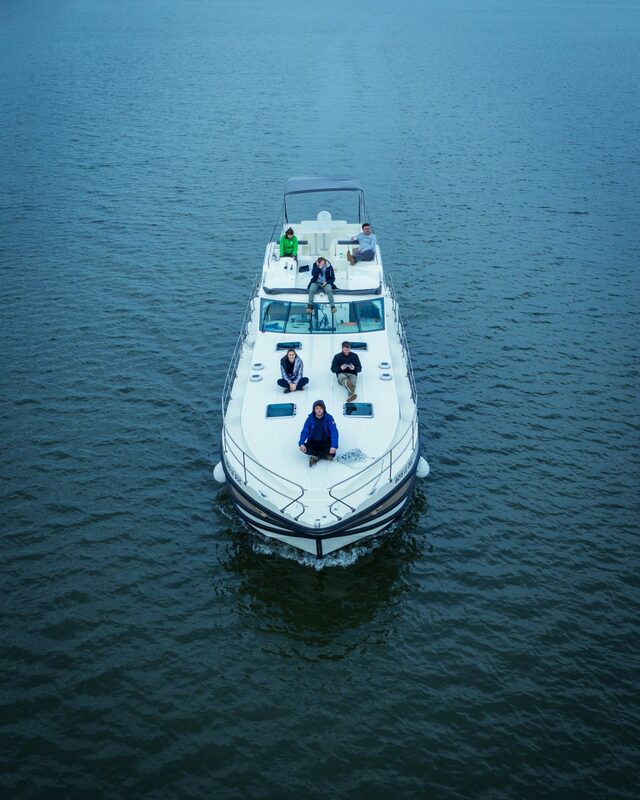 Whether you’re a couple, a family or a group of friends, there’s a boat for ya! Of course the bunch of us rented the biggest option, the OctoFly, a boat suitable for up to 8 people. The first hour, a representative joined us to teach us a little bit about how to operate the boat and how on earth we should moor this thing. It turned out I had quite the talent for it! 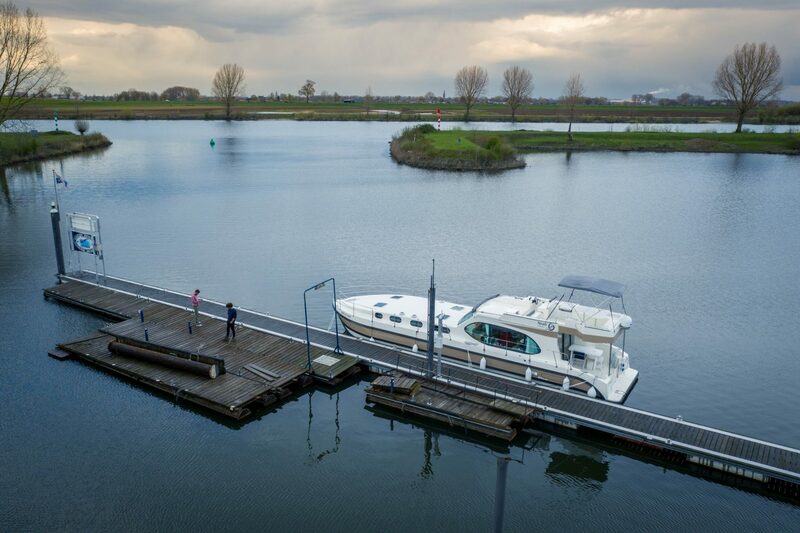 How come we didn’t need a license to rent a boat in the Netherlands? How is this possible? Why don’t you need a permit or boating license? Well the boats from Nicols are no bigger than 15m. Our biggest boat in the lineup was 14,95m, which isn’t exactly small! But it’s within the legal boundaries of renting it without a license. Boats from Nicols aren’t fast either. Our top speed was something in the range of 15kmh. It really is slow travel but that’s the beauty of it. A slower boat is another important reason why you don’t need a boating license to rent a Nicols boat. After we dropped off our guide, we were on our own and the boat was entirely ours. 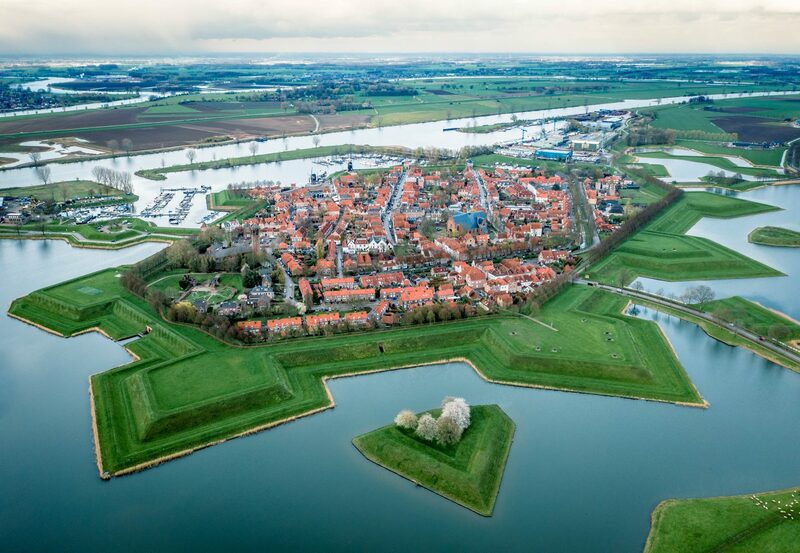 Our first stop was the quaint little Dutch town of Heusden. I’d been in Heusden before during the Havendagen (harbour days). But it’s a completely different experience arriving from the water. We had a little stroll in the cobblestone streets and along the old fortifications. 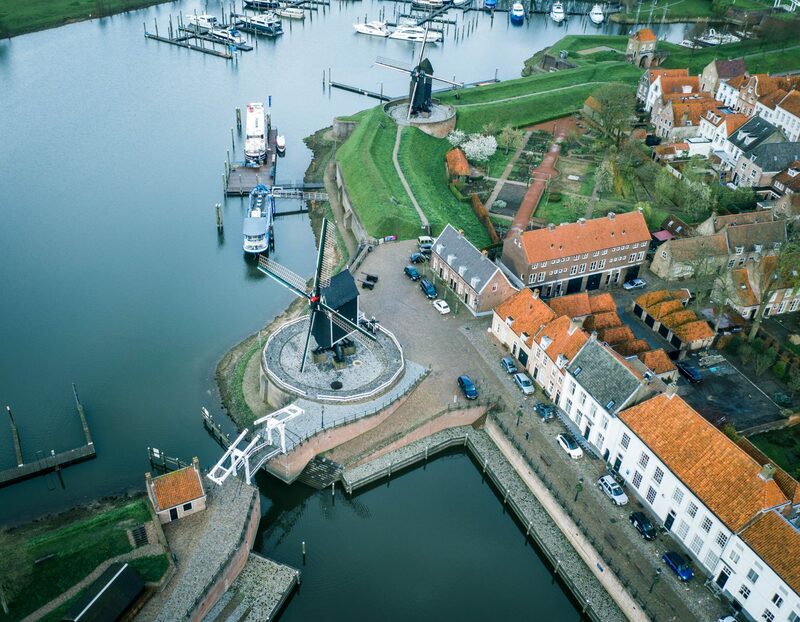 After that we stopped for an obligatory visit at Heusdens Ijshuys, cause there’s just no way to visit Heusden without having tasted their delicious artisanal ice creams! The second day we set sail in the direction of Hollands Diep. But right before we reached the point where the rivers Maas and Waal join, we turned right and entered National Park ‘De Biesbosch’. De Biesbosch is one of the last tidal wetlands in Western Europe and it’s absolutely massive! In the middle of the park there’s a museum which you can reach by boat (by car as well but that isn’t half as cool!). 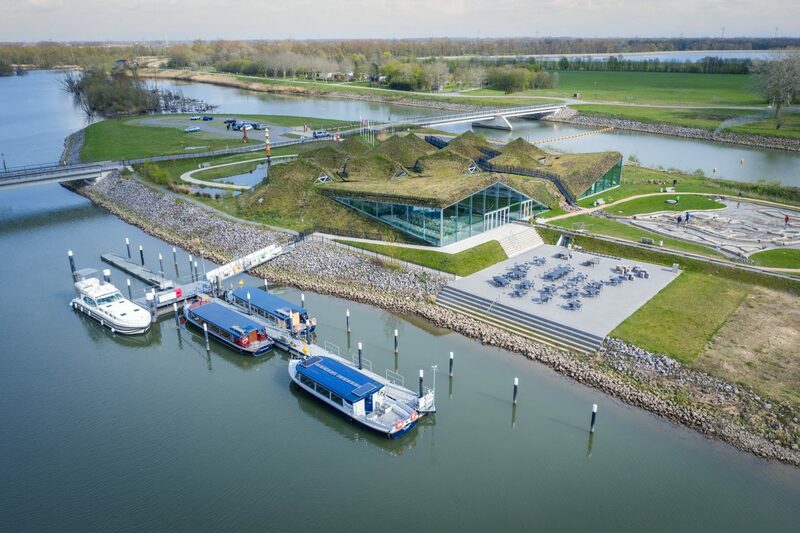 The museum tells about the history of the park, about wildlife and how Dutchies found a way to conquer the water. 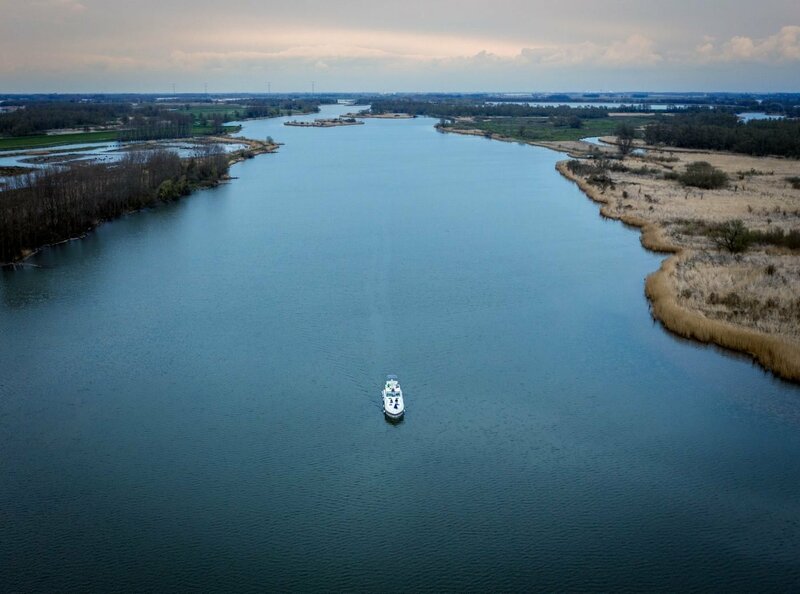 In National Park De Biesbosch there’s hardly anyone there and you can spend hours cruising along without seeing anyone. When the sun was setting, we found a pier to attach our boat to. 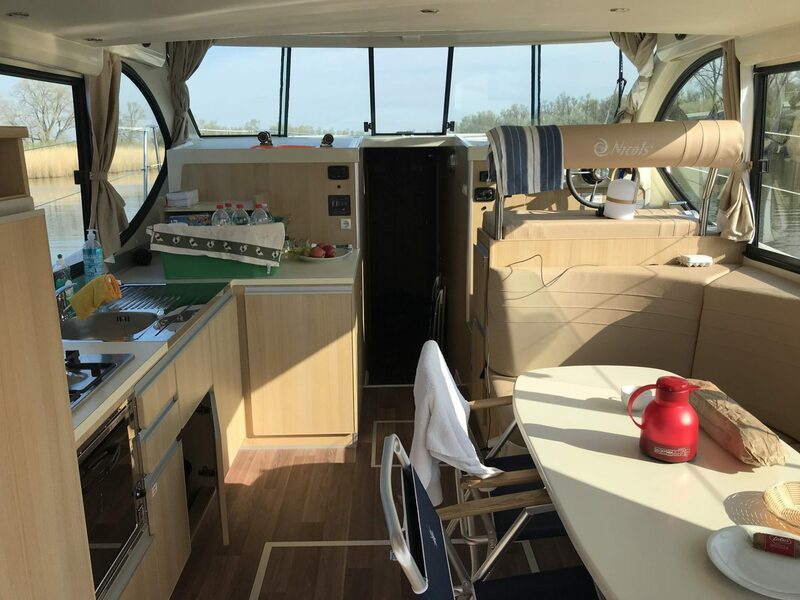 In the Nicols boat, there’s a fully equipped kitchen. We made a lovely dinner and had a few drinks until late at night. It was another day well spent! The day after was a full day of cruising back from the Biesbosch, along the town of Drimmelen back to Kerkdriel, where our amazing adventure came to an end. 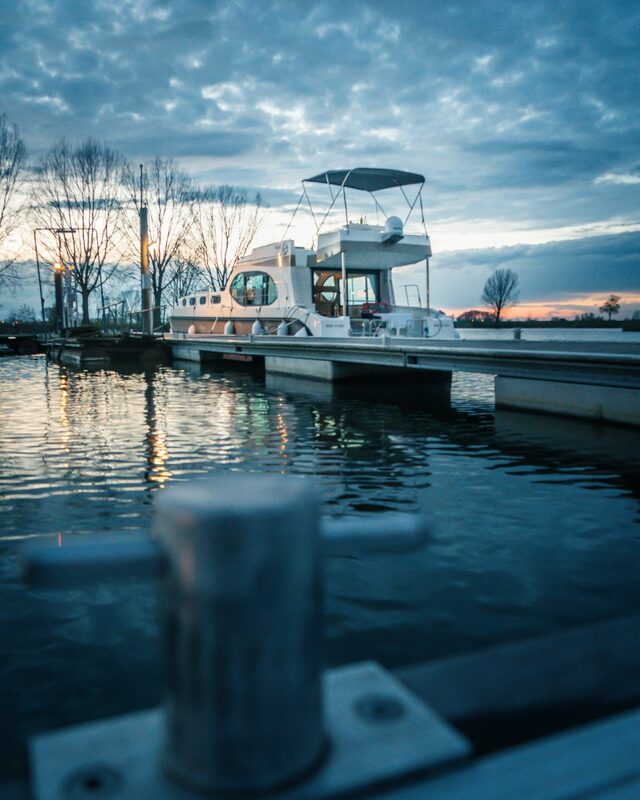 Renting a boat with Nicols means complete freedom. They can provide you with a loose itinerary but actually it’s entirely up to you where, when and how fast you would like to go. Renting a boat in the Netherlands was a great experience. A boating holiday is a completely different way of seeing a country from a different perspective. And I’m so happy I did this! Crewing the boat together with a bunch of friends is one of the coolest activities I can imagine. And it’s surprisingly affordable. Our 8-person boat cost around 2500 euros per week, that’s roughly 45 euros per person per day. A full tank of fuel for the week, a full tank of water and gas for the kitchen is included in this price! Convinced? Head over to the Nicols website or jachthuren.nl and create your own experience! Bedankt voor dit mooie artikel. Ik heb een vraag van de media afdeling van Nicols. Kun je ons de fotos van de trip in HD via we transfer doorsturen naar Guido.camp@nicols.com? Natuurlijk zullen we de credits vermelden. Dag Guido, ik ben blij dat je het artikel leuk vindt. We hadden een heel fijne tijd op de boot! Ik heb je de bestanden verstuurd!